The plan by Lion Air, Indonesia's largest low-cost carrier, to join Thailand's hotly contested airline market is coming to fruition, six years after it was mooted. The Jakarta-based airline is setting up a subsidiary airline, Thai Lion Air, and has already started recruiting pilots, cabin attendants and ground staff. Thai Lion Air intends to start its operation strongly with the deployment of up to six single-aisle twin-jet Boeing 737-800s and by using Bangkok's Don Mueang airport as its base, according to people with knowledge of the matter. 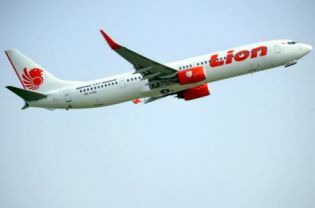 Woradej Harnprasert, director-general of the Civil Aviation Department, yesterday confirmed Lion Air is launching a Thai subsidiary, although the department has not yet received an application for air operator's certificate. The creation of Thai Lion Air comes in the form of joint venture with Thai entities, which are required by law to have a minimum 51% holding. However, the identities of the entities remain a mystery. Reports suggest Phuket Airlines, which used to operate scheduled domestic and international flights nearly a decade ago, is an investor. But Mr Woradej discounted that possibility, saying Phuket Airlines, founded by businessman and former senator Vikrom Aisiri, has been preoccupied with charter services. Lion Air's entry will intensify Thailand's s highly contested market. It will compete with major players Thai AirAsia and Nok Air and, to a lesser extent, with Orient Thai, which has significantly downsized its scheduled operations over the past two years. "Lion Air's entry is good for more healthy competition, giving passengers choice," said Mr Woradej, noting that Thai skies are open to airlines as long as they meet regulations. Thai Lion Air aims to operate flights within Thailand and to neighbouring countries, sources said. Lion Air has sought to set up a sister carrier in Thailand since 2007. It considered a tie-up with One-Two-Go, the now-defunct budget airline of Orient Thai, or a partnership with a holder of an airline licence in Thailand. Chief executive Rusdi Kirana in March told reporters the airline was still exploring earlier plans to set up subsidiaries in Australia and Thailand. The airline reportedly reached a recent accord to acquire 49% of an unnamed Australian company and base six aircraft in that country. Executives have also said the airline is considering partnerships in Myanmar, Vietnam, Bangladesh, Malaysia and the Philippines to grow its operation, essentially to absorb its huge aircraft capacity. In February 2012, Lion Air ordered 201 Boeing 737 MAXs and 29 next-generation 737-900ERs worth US$22.4 billion, the biggest single order for the US aircraft maker in its history, measured by the number of planes and the value of the order. In March, it placed an order for 234 Airbus A320 aircraft worth $24 billion. Executives have said the company wants to have 1,000 planes in 10 years. As of last December, Lion Air operated nearly 100 aircraft, mostly Boeing 737-800 and 900 models. Lion Air recently launched domestic carrier Malindo Air as a joint venture in which it owns a 49% stake and is planning to set up full service carrier Batik Air in Indonesia later this year. 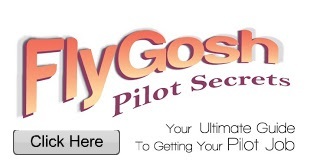 The airline, founded in 2000 with the slogan "We make people fly", has a poor safety record. Its fourth accident in 16 months occurred in April when a Boeing 737-800 crashed into the sea at Bali airport. Mr Woradej said Thai Lion Air will be regulated by the department's safety standards.